Je vous présente une page que j'ai créée pour le défi du mois de More Than Words. 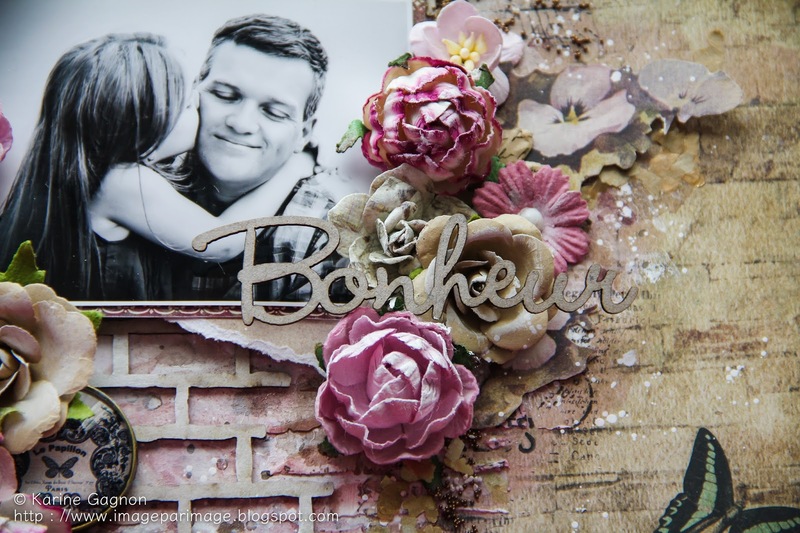 Il fallait utiliser du gesso et s'inspirer du mot Bliss, soit bonheur un bonheur intense, d'où le titre de ma page. 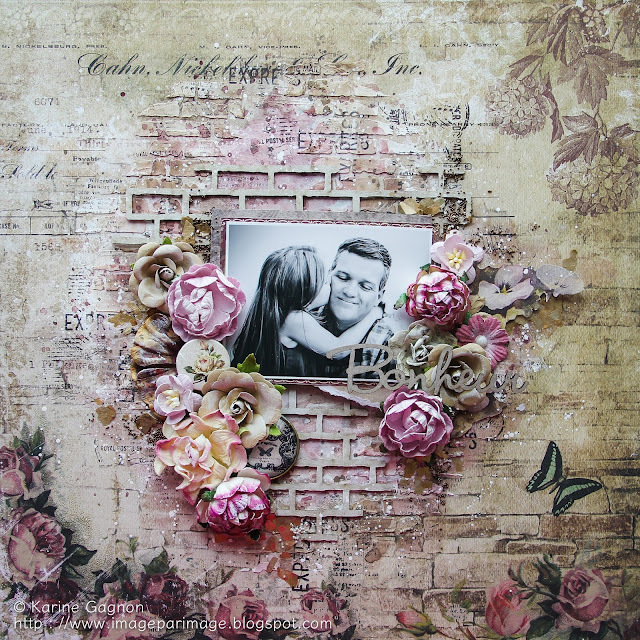 I'm sharing today a layout created for the challenge over at More Than Words. 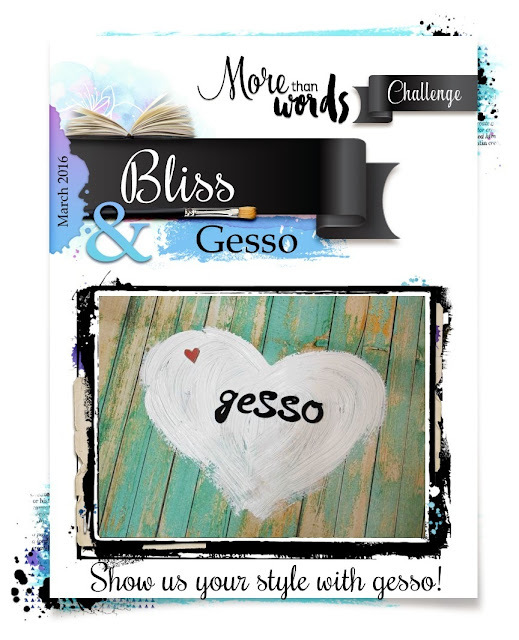 We must use gesso (I used white gesso over a part of my background to soften the look of the print) and be inspired by the word Bliss, which means, in french, Bonheur intense. 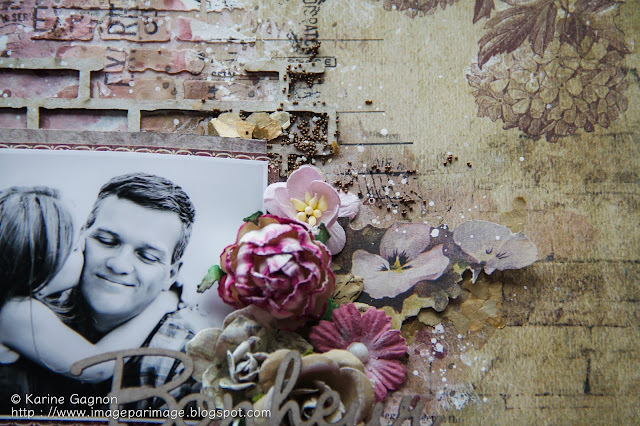 Such a beautiful layout Karine & that photo is gorgeous, a special moment captured. Thank you so much for playing along with us at More Than Words. Love this Karine! you've captured the challenge perfectly! Thanks for joining in with us at More Than Words. What a precious photo and lovely layout! Thank you for playing along with us at More Than Words! 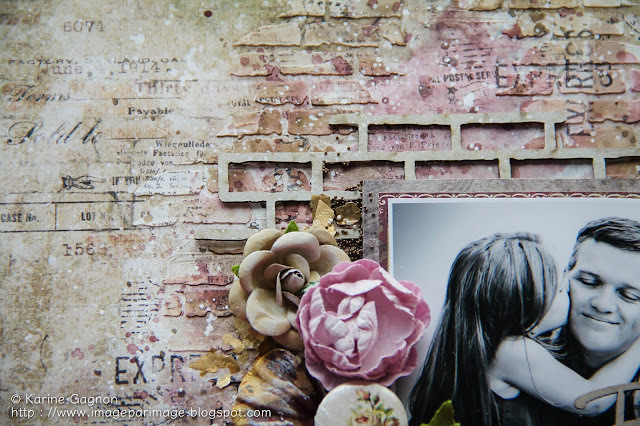 Your page is Fantastic!!! Love it! Thank you for playing with us at More Than Words! 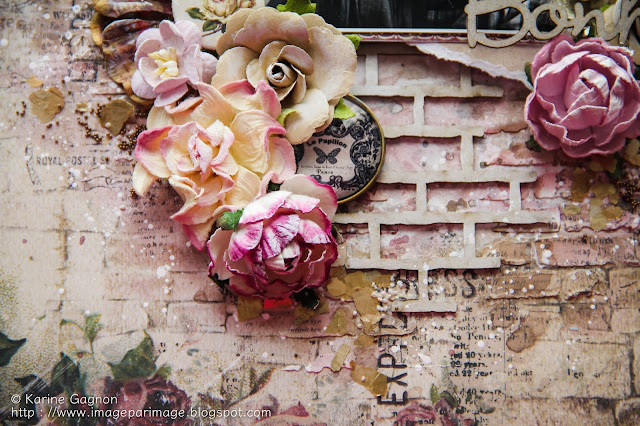 Pretty layout! Thank you for playing with us at More Than Words!